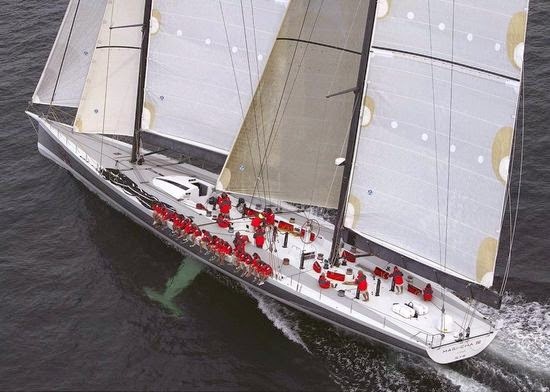 designs by the age of 22, and he grew into a skilled and talented helmsman who won several World Championships during the 1980’s. 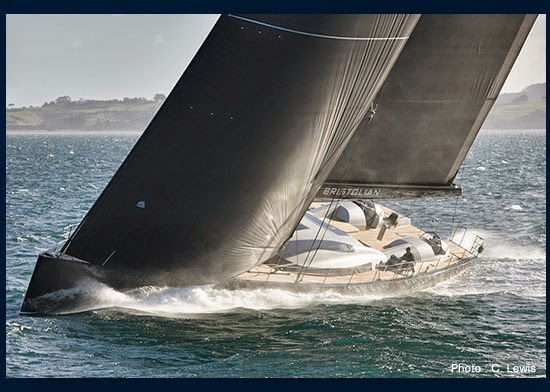 Briand and his team have actually designed more than 25 super yachts (like Mari-Cha IV and Bristolian pictured above) that range in size from 100 to 252 feet long. 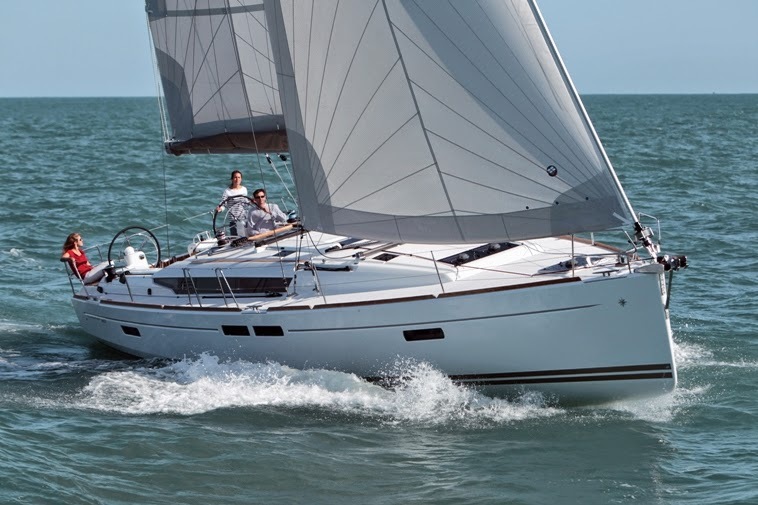 been designing production sailboats for Jeanneau since 1978.
the new, Briand-designed 64 (pictured below) that’s just about to be launched over in France. 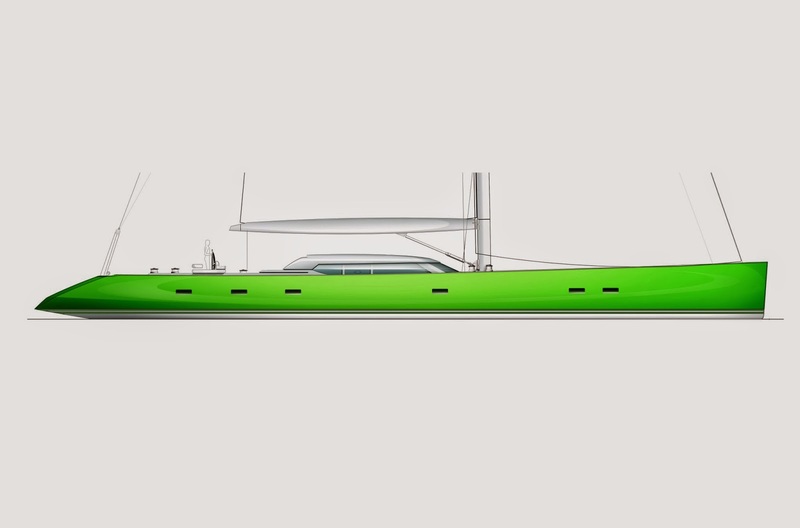 The artist rendering of the soon-to-be-launched Jeanneau 64.
the rest of my interview with him here. spent a lot of time identifying the best versions of the accommodation layouts. 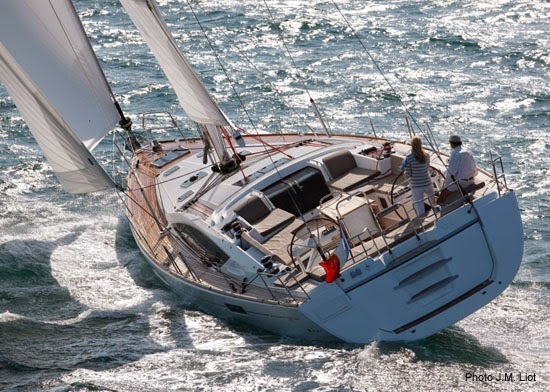 large owners cabin aft with a huge and very comfortable cockpit right above.